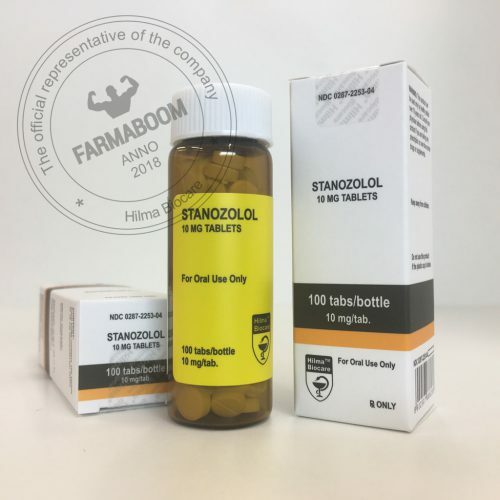 Winstrol (stanozolol) is a popular trademark for the anabolic steroid stanozolol. It is more conducive to building muscles, and produces an androgenic effect. Perhaps due to the anabolic properties of this drug is not as powerful in comparison with more powerful substances. But this is one of the most reliable means to build muscle. Winstrol exists in two dosage forms: in the form of tablets and solution for injection (Winstrol depot). The chemical structure of Winstrol makes it possible to attribute it to testosterone derivatives. Give preference to injectable form. Daily optimal dose: in tablets – 10-25 mg, in injections – 50 mg. Course duration: for tablet form – 5-6 weeks, for injection – 6-8 weeks. 1.5 weeks before the end of the course, the dosage of the drug should be gradually reduced to a minimum value. The greatest effect of the course is obtained if you simultaneously apply sports nutrition to the relief. The described course of Winstrol does not require follow-up therapy. Taking stanozolol (Winstrol), you can simultaneously add other tools. It depends on specific goals. 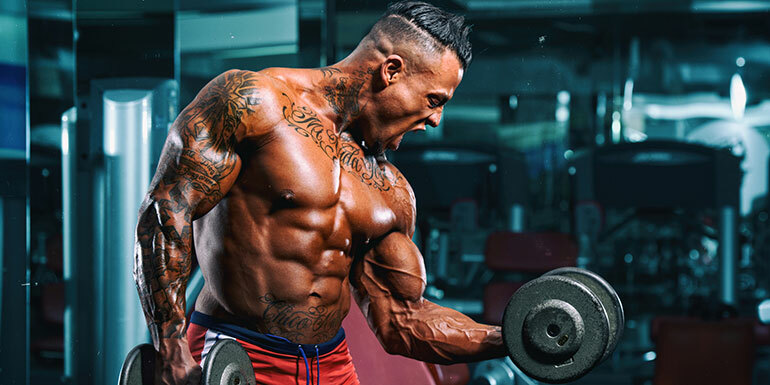 If the goal is to increase muscle mass, Winstrol administration can be combined with other, more powerful androgens, such as anapolone, methandrostenolone, testosterone. The action of these drugs is balanced by Winstrol, so that their estrogenic effect decreases with anabolic action. Compensating for the action of strong androgens contributes to the addition of antiestrogens such as Clomid, Nolvadex. Properly chosen combination of drugs will lead to an increase in muscle mass without significant delay of adipose tissue and fluid. As practice shows, in the process of diets for weight loss or before the competition, the combination of Winstrol and trenbolone (non-aromatizing androgen) makes the muscles hard and especially relief – this is usually the goal of many athletes. Daily Winstrol intake in women: 5-10 mg (2-2.5 tablets, 2 mg each). Despite the good tolerability of the drug, women are not suitable injections. This is associated with the risk of androgen accumulation, which explains the reduced dose. Moreover, the tablet is easier to divide into several doses than the ampoule. If injections are still used, the ampoule should be divided into at least 2 doses. It is necessary to take breaks between the injections. The optimal dose is 25 mg every 2-3 days. Some ambitious women give injections every other day. However, it is better to avoid such a scheme. And although the active ingredient Winstrol is a moderate androgen, but there is a risk of signs of masculinization. Anabolic effect of testosterone levels is 320%. The androgenic effect of testosterone is 30%. There is no conversion to estrogen (aromatization). Toxic properties for the liver are manifested only from the tablet form. Two ways of administration: in the form of tablets and injections. The duration of the effect is 8 hours. The effect appears: for tablets – in three weeks, for injections – in nine weeks. Winstrol is very popular in bodybuilding. It almost does not affect body weight. At the same time, muscles are made from it by relief, and the venous pattern is enhanced. Meanwhile, Winstrol has a low androgenic activity (although masculinization and virilization are not completely excluded). This quality makes it a safe steroid for female athletes. High safety Winstrol is the lack of its conversion to estrogen. And this, in turn, prevents the formation of such negative phenomena as edema and gynecomastia. Using Winstrol in parallel with active training and a full-fledged balanced diet, it is possible to gain more than 10 kg of dry and well-drawn muscles for the course. That is why most athletes prefer to use this drug. Meanwhile, different athletes reviews vary. Some people consider this drug weak, while others, on the contrary, are delighted with the result. Much depends on how well the reception course is built. By the quality of the gained mass: yes 84%, no 16%. According to the phenomenon of rollback: yes 85%, no 15%. According to the degree of tolerance of injections: yes 69%, no 31%. On availability: yes 83%, no 17%. At the price: yes 74%, no 26%. By efficiency: yes 88%, no 12%. By the frequency of side effects: yes 83%, no 17%. General conclusion: yes 89%, no 11%. Despite the safety of Winstrol, it should be remembered that drugs are prescribed and used exclusively under the supervision of specialists. Serious negative health effects are possible from self-administration.